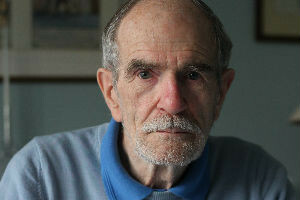 Dollin Kelly RBV is one of the Isle of Man’s most respected performers of Manx dialect poetry. Best known for his recitals of T. E. Brown (who he created an edited collection of through T. E. Brown: An Anthology in 2001), Dollin Kelly has gained a brilliant reputation for his interpretation of Manx poetry through many years of performance all over the Isle of Man and further afield. Here he performs some of the few poems written by Kathleen Faragher in a male voice.